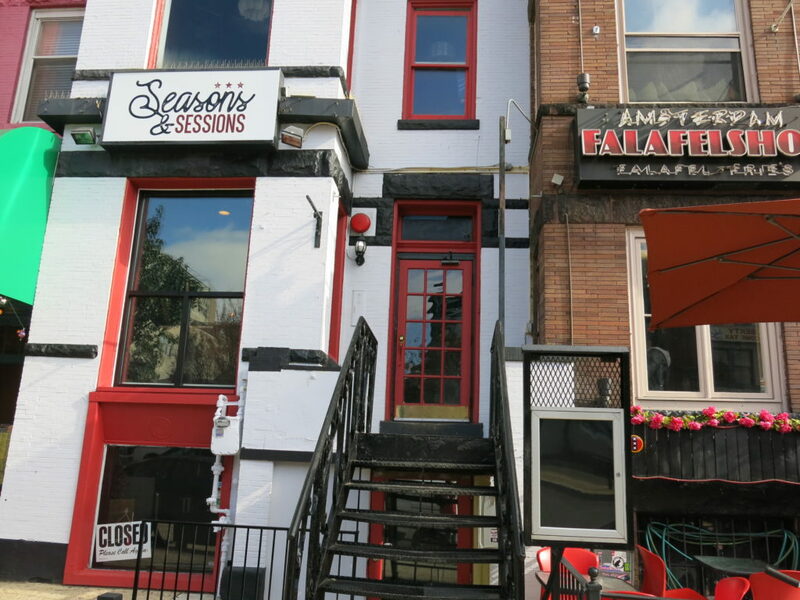 “It has been three months since The Black Squirrel served its last beers in Adams Morgan. In that time, the space at 2427 18th Street NW transformed into Seasons & Sessions, with a brand-new dining area, reimagined bar/performance space, and a new third floor arcade. As we begin this new era in Adams Morgan, we welcome back some old favorites, familiar faces, as well as some fresh events for our new space. Our Grand Reopening will be this Thursday, November 29th. We will feature free play in our arcade on the third floor, $1 off all beer and cocktails, $4 wine, and bartender’s choice combo specials. Of course, the kitchen will prepare a special treat, free of charge, for everyone coming out to celebrate the birth of our new restaurant. Owners, managers, family and friends, will all be on hand to celebrate as we toast to a new beginning in Adams Morgan. The upgraded bar and performance space, will feature all our Favorite acts from this past year for this final month of the year. All acts, including brass in the basement with crush funk brass band, Andres Gallego and friends, Vico Cycle, and our monthly stand-up comedy showcase with our friends at no pulp comedy will be performing throughout December. To celebrate the holidays, and the new year, the main floor at Season’s and Sessions will be offering pre-fix dinner, featuring prime rib and other house specialties on both December 24th and December 31st. In the downstairs, sessions, performance space, The Dj’s at NextGen will rock the house all the way to 2019 and will lead us in a special free Champaign toast at midnight. All events with dates can be found on our Facebook page, which will be updated as more acts are booked. For 2019, we host a new variety of touring and local music acts as well as special movie screenings on our new projector. Of course, there will also be a whole slew of new beer events featuring the best craft breweries, both national and local, including tap takeovers and our annual stout wars event.